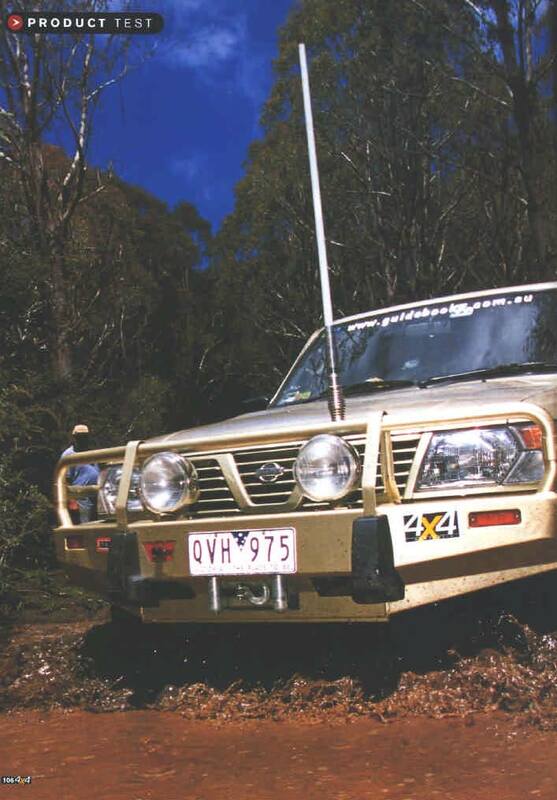 Author: Ron Moon - 25 years Editor in Chief of of 4x4 Australia Magazine. 'set a up' a vehicle so it is strong & reliable. Ron had issues with diesel fuel and trialled a De-Bug Clean Fuel Unit and then wrote the following article and has been using De-Bug Clean Fuel Units ever since. Think your fuel is safe from damaging organisms? Think again. RON MOON reports on a proven way to debug your tank. as clean as it can ever be"
Most of us wouldn�t imagine diesel fuel was somewhere living organisms could survive, let alone thrive and multiply, but this is not the case. To be correct these �bugs� really live in the water-fuel interface � existing in the water and feeding off the hydrocarbons in the fuel. And, while there are more than 250 types of fungi and bacteria that can live in this toxic environment there are only a couple of dozen which actually feed on the fuel and produce waste. Apart from the bacteria and fungi there are forms of yeasts and sulphate-reducing Bacteria that can occur in the fuels and oils. Diesel bugs are minuet, just a couple of micron, or smaller in size - can live in a wide range of fuels including synthetic oils, some solvents, normal petrol, jet fuel, kerosene, avgas, diesel and crude oil; the last few are especially prone to infestation. They feed on the energy in the fuel and as they grow (up to a rate that sees them doubling in number every 20 minutes!) they form mats or long strings of gel-like green, brown or black slime ( in petrol it can be clear). They also produce waste products which includes water, sludge, gums and acids and they will consume rubber gaskets, o-rings, tanks linings and more. After an embarrassing `running out of fuel' mishap in Cape York, there were still no signs of bugs in Moonie's new de-bugged fuel filter. On his return to Melbourne Moonie took out the fuel filter and cut it up to see what it was like inside. Again it was perfectly free of algae, bacteria or fungus. Being a bit of a sceptic of such things, I went in search of users who have had fuel problems and have used the De-Bug units to cure them. A typical example was the Director of a charter boat in Moreton Bay. Their 42-foot cat, powered by twin Volvo diesel engines began suffering problems from contaminated fuel. While numerous attempts were made to clean the tanks and algae killers were used to treat all the fuel, the problem would reappear within three weeks, necessitating yet another filter change. Within two weeks of fitting a De-Bug unit the problem vanished and fuel filters now only get changed at regular service intervals, when they still look absolutely fine. Another happy customer is the CFA workshop manager in Bairnsdale, Victoria. 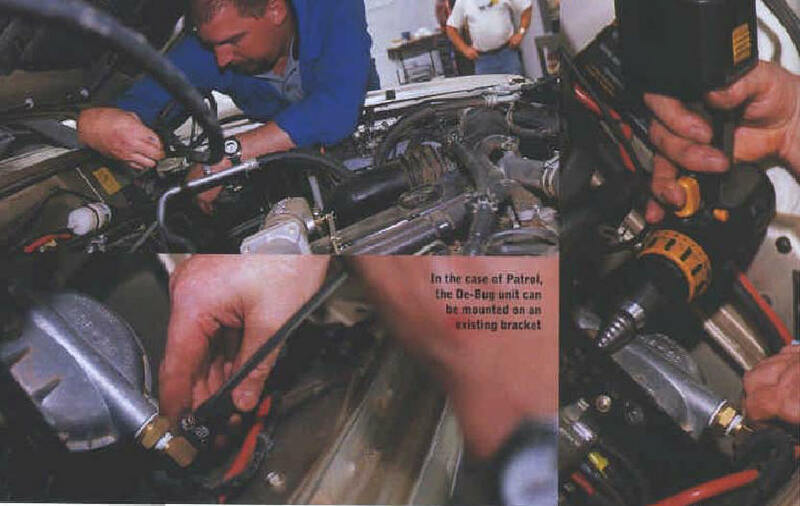 After contaminated fuel stopped a truck on its way to a fire, a De-Bug unit was installed. Now, many trucks and De-Bug units later they haven't had a bug problem and their fuel filter elements are as clean as the day they put them in. The L1000 and L4000 De-Bug units also carry NATO part numbers while Volvo, after three years of testing, have them under their Quality Assured Products product line as QL Fuel Decontaminator. It seems hundreds of other companies around the world have had similar positive reports on the De-Bug units. My experiences since fitting the De-Bug unit are similar. Once we found the bugs in my filter, and we can rightly assume: in my fuel tank as well.